This is an awesome mattress! We got two of them in twin size for new bunkbeds and they work perfect. This is my son's first 'real bed' after transitioning from his crib/toddler bed and he is now sleeping so much better on them. They are definitely more on the firm side but also very soft to touch. 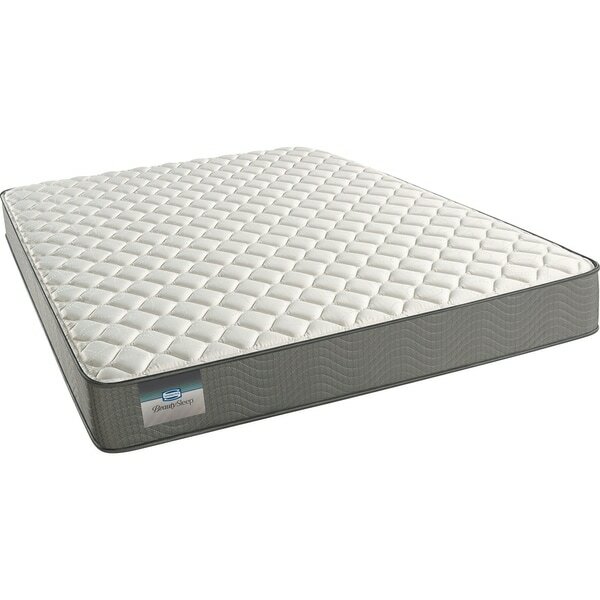 the 8" makes them feel more of a low profile mattress, but they work great for what we need them for. The Beautysleep Collection Mattresses all feature a high performance coil system along with memory foam and luxurious fabrics for a unique sleeping experience. Every night on the Beautysleep Firm Mattress leaves you feeling refreshed and ready to tackle the day ahead. The heavy-gauge coil system features in this collection allows for strong back support all throughout the entire Mattress, concentrated where you need it most and promote motion separation. Think Comfort, Support & Durability - Think Beautysleep by Simmons . Features: -SurfaceCool Fiber - Designed to move heat away from the surface of the Mattress to help maintain an ideal sleeping temperature. - AirCool Foam - A channeled surface design that promotes airflow through the Mattress. - GelTouch Foam - A soft gel foam that provides soothing comfort with exceptional surface contouring and conformability. - 725 Density Wrapped Coils - Helps deliver conforming back support.